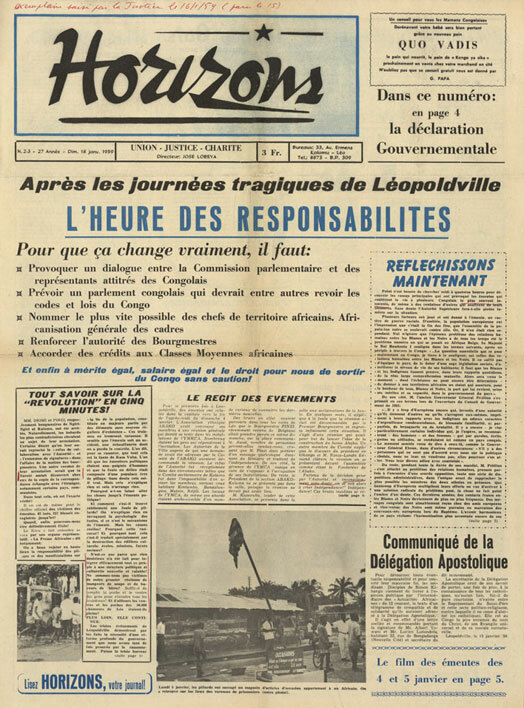 In January 1959, riots broke out in Leopoldville (Kinshasa). This shook up the public opinion and the decision makers. Front page of the journal Horizon of 18 January 1959. NAB, Archives Jean Jadot, portefeuille 3.